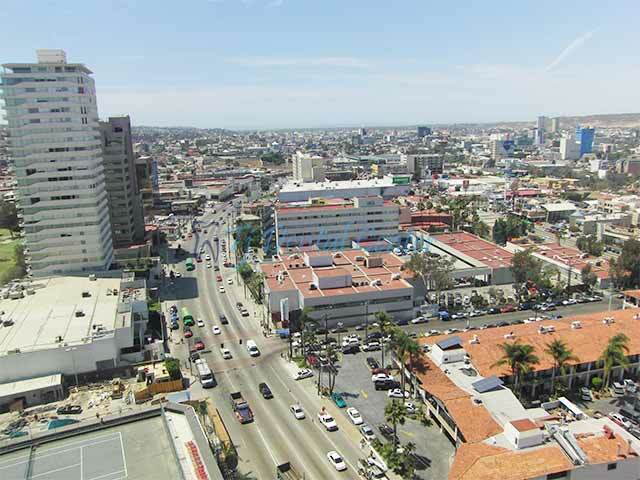 Tijuana is a strategically located border city in Mexico that is a hub for medical and oral procedures. The city has some of the most experienced doctors and physicians that serve clients from the USA and Canada at much affordable prices as compared to that in their home country. The above reasons make for cheaper dental procedures in Tijuana; however there is no compromise on quality of care provided by TJ Dental Center. Our dental team is highly competent. 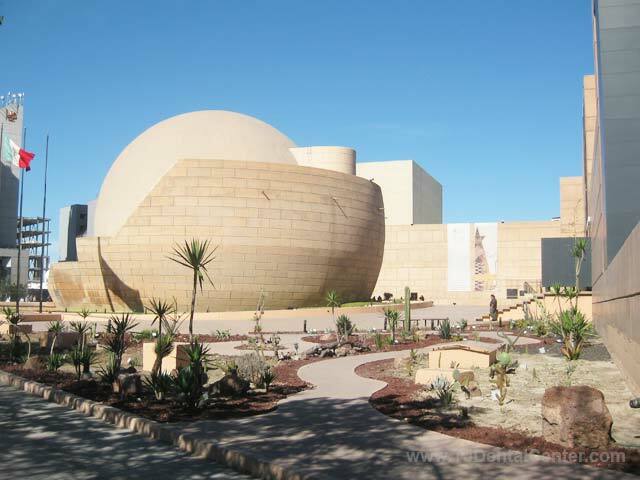 Our leading Implantologists & Cosmetic Dental Surgeons in Tijuana have a combined experience of more than 50 years. 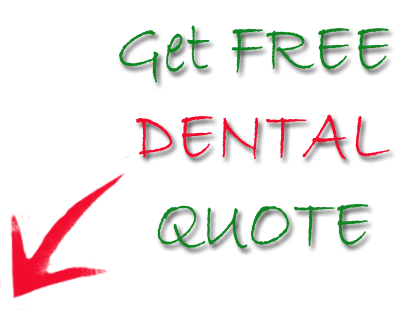 The clients do not have to compromise on the quality of dental services despite the reduced costs. High end technology is available at TJ Dental Center to perform advanced Implantology and Cosmetic Dentistry. CAD (Computer Aided Designing)/CAM (Computer Aided Manufacturing), Panoramic CT scans or X-rays are instances of such high end technology which helps in correct diagnosis and treatment. US and Canadian citizens do not require a visa; however, they need to have a valid passport to enter Mexico. They need to obtain a permit or Forma Migratoria Multiple (FMM) which is available at Mexican consulates and border entry points for travel beyond the border zone (25 km from the US border) and a stay exceeding 72 hours. Those entering Mexico by air will also have to obtain an FMM; the fee is usually included in the plane ticket price. The FMM needs to be returned to authorities on leaving the country, and hence, should be preserved carefully; those who fail to return it may either be penalized, detained, deported or denied entry into Mexico in future. When traveling beyond the border zone (up to 20 km south of the international border) in their own car, they will need to obtain a vehicle permit; an exception to the rule is the Baja Peninsula where no permit is required. Now that you have acquainted yourself with getting dental implants right across the US border in Tijuana, Baja California, have a look at the following sections detailing on the procedure. Also known as a dental or endosseous fixture / implant, it is a component (typically made of Titanium) that is surgically fixed into the bone of the patient’s jaw. 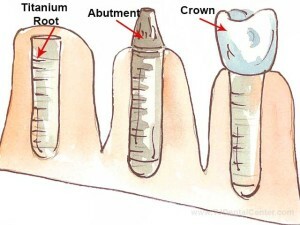 An abutment is added to support a dental prosthesis such as a crown, a denture or a bridge. The final prosthesis imitates the function of the original tooth (or teeth) completely and is an ideal substitute for natural (damaged) oral anatomical structure(s). What Makes for Success of Dental Implants? It is a biologic process where the dental implant forms a bond with the bone. It builds a strong foundation for a full functional dental prosthesis. As per Mayo Clinic "This process, which can take up to six months, helps provide a solid base for your new artificial tooth — just as roots do for your natural teeth." Who qualifies 1, 2 · Clinical examination determines the required height and width of the bone suitable for traditional implants. Contact us for more information and FREE Estimate through the quote-form on the right. Stuart Froum, DDS, MS Cyril Hery, DDS Sang-Choon Cho, DDS Dennis Tarnow, DDS 2005 Jan-Feb;20 (1):39-47. 3- Comparison of Long-term Survival of Implants and Endodontically Treated Teeth. F.C. Setzer and S. Kim, J Dent Res. 2014 Jan; 93(1): 19–26. 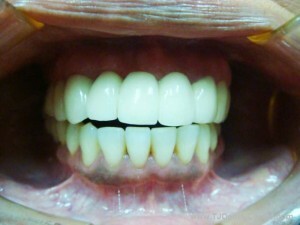 Immediate placement of dental implants in the mandible. Gurkar Haraswarupa Puttaraju and Paranjyothi Magadi Visveswariah, J Pharm Bioallied Sci. 2013 Jul; 5(Suppl 2): S147–S149. Immediate-loading post extractive implants: indications, advantages and limits. G. MAMPIERI,* L. OTTRIA,* and A. BARLATTANI, Oral Implantol (Rome). 2008 Jul-Sep; 1(2): 71–77. Published online 2009 Feb 1. 5- Interventions for replacing missing teeth: Dental implants in fresh extraction sockets (immediate, immediate-delayed and delayed implants). Esposito M, Grusovin MG, Polyzos IP, Felice P, Worthington HV, Cochrane Database Syst Rev. 2010 Sep 8;(9):CD005968. doi: 10.1002/14651858.CD005968.pub3. 6- Tests and Procedures- Dental Implant Surgery, Mayo Clinic Staff. 1- The implant-supported overdenture as an alternative to the complete mandibular denture. Doundoulakis JH1, Eckert SE, Lindquist CC, Jeffcoat MK,J Am Dent Assoc. 2003 Nov;134(11):1455-8. Clinical evaluation of removable partial dentures 10 years after insertion: success rates, hygienic problems, and technical failures. Wagner B1, Kern M., Clin Oral Investig. 2000 Jun;4(2):74-80. 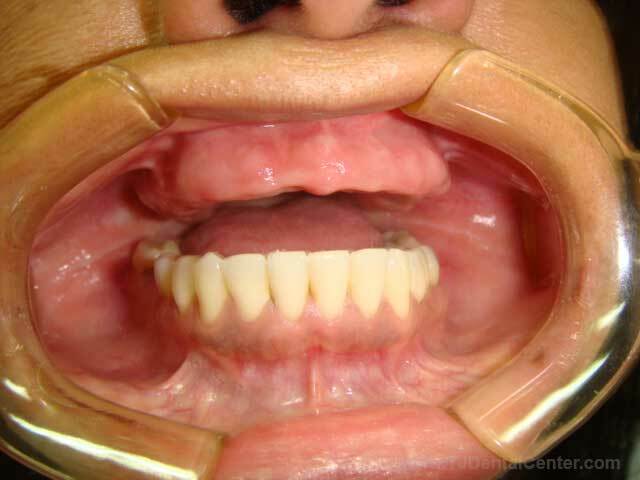 2- Periodontal considerations of the removable partial overdenture. Gomes BC, Renner RP. Dent Clin North Am. 1990 Oct;34(4):653-68. Mandibular implant-supported overdentures and oral function. van der Bilt A1, Burgers M, van Kampen FM, Cune MS.Clin Oral Implants Res. 2010 Nov;21(11):1209-13. doi: 10.1111/j.1600-0501.2010.01915.x. 3- Implant overdentures: recommendations and analysis of the clinical benefits. Melilli D, Rallo A, Cassaro A. Minerva Stomatol. 2011 May;60(5):251-69. 3- Mandibular implant-supported overdentures: attachment systems, and number and locations of implants--Part I. Warreth A, Alkadhimi AF, Sultan A, Byrne C, Woods E. J Ir Dent Assoc. 2015 Apr-May;61(2):93-7. 4- Implant-retained dentures for full-arch rehabilitation: a case report comparing fixed and removable restorations. Zafiropoulos GG, Hoffman O. Gen Dent. 2011 Jul-Aug;59(4):e137-43. Removable partial dentures. Oral functions and types. Creugers NH1, de Baat C. Ned Tijdschr Tandheelkd. 2009 Nov;116(11):587-90. 6- Early versus delayed loading of mandibular implant-supported overdentures: 5-year results. Turkyilmaz I1, Tözüm TF, Tumer C. Clin Implant Dent Relat Res. 2010 May;12 Suppl 1:e39-46. doi: 10.1111/j.1708-8208.2009.00218.x. Epub 2009 Aug 5. 1- A longitudinal study of the survival of All-on-4 implants in the mandible with up to 10 years of follow-up. Malo P1, de Araújo Nobre M, Lopes A, Moss SM, Molina GJ. J Am Dent Assoc. 2011 Mar;142(3):310-20. 2- Prosthodontic Perspective to All-On-4® Concept for Dental Implants. M Taruna, corresponding author B Chittaranjan, N Sudheer, Suchita Tella and Md. Abusaad. J Clin Diagn Res. 2014 Oct; 8(10): ZE16–ZE19.Published online 2014 Oct 20. 3- Immediate loading of 'All-on-4' maxillary prostheses using trans-sinus tilted implants without sinus bone grafting: a retrospective study reporting the 3-year outcome. Maló P, Nobre Md, Lopes A. Eur J Oral Implantol. 2013 Autumn;6(3):273-83. 1- A Pilot Study of Mini Implants as a Treatment Option for Prosthetic Rehabilitation of Ridges with Sub-Optimal Bone Volume. Anitha Balaji, Jumshad B. Mohamed and R. Kathiresan. J Maxillofac Oral Surg. 2010 Dec; 9(4): 334–338. Published online 2011 Feb 25. 3- Why are mini-implants lost: The value of the implantation technique! Fabio Lourenço Romano and Alberto Consolaro. Dental Press J Orthod. 2015 Jan-Feb; 20(1): 23–29. Temporary anchorage devices – Mini-implants. Kamlesh Singh, Deepak Kumar,1 Raj Kumar Jaiswal, and Amol Bansal. Natl J Maxillofac Surg. 2010 Jan-Jun; 1(1): 30–34. 3- Comparison of Long-term Survival of Implants and Endodontically Treated Teeth. F.C. Setzer and S. Kim. J Dent Res. 2014 Jan; 93(1): 19–26.